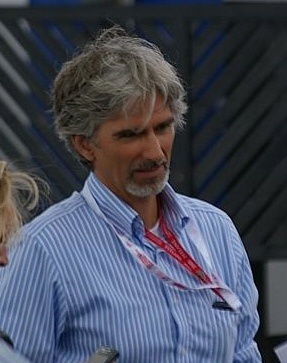 Did Damon Hill settle an old score at the Monaco Grand Prix this weekend? That’s what many people are wondering after he was involved in a decision that knocked his old rival Michael Schumacher from sixth to 12th in the closing laps of the Monaco Grand Prix. However, The Times reports that Hill agonized over the decision and didn’t feel comfortable taking part in handing out the final ruling because of his past history with Schumacher. Schumacher received a 20-second penalty after the race when he was judged to have attempted to pass Fernando Alonso while the safety car was on the track while coming to the final corner. Hill – who edged Schumacher for the 1996 title two years after losing to the German in very controversial cicumstances – was serving as the driver representative on the panel of stewards who came together to make a ruling on the incident after the race. “It was a fascinating experience but I wonder whether it is right that drivers are put in the position of interpreting the regulations,” he said. “I imagined I would be there as a consultant providing driver insight to the stewards, who would then make the decisions. My expertise is as a driver rather than a lawmaker or interpreter of regulations.